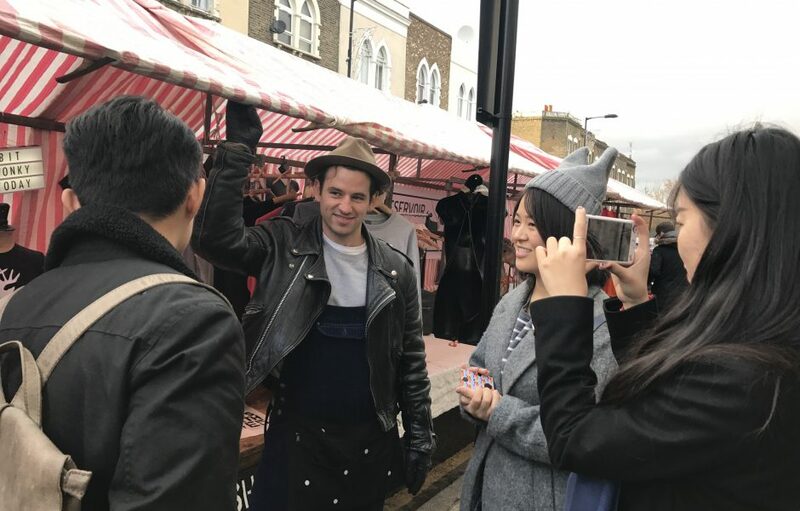 Jin, our recent Design Innovation Management MSc graduate takes another look back at her time at Loughborough University London – this time to tell you about her student experience! 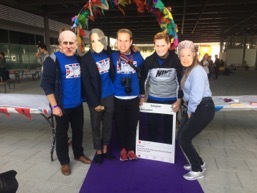 During induction week, the Students’ Union organized a range of activities, such as voluntary work, trips, and a garden party. Additionally, as we were based on the Queen Elizabeth Olympic Park, it was a great location to participate in neighbourhood events and concerts, especially sporting fixtures. 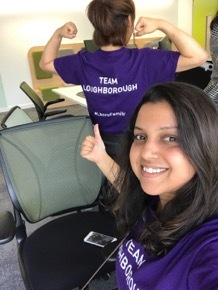 As I was part of Loughborough University London’s second cohort, many student societies were still forming – but the course provided plenty of opportunities to participate in different projects and encouraged teamwork, which is another way of meeting fellow students. When I was an undergraduate student, I was Vice Chairman of both the Young Volunteer Association and the Students’ Union. This experience helped me to be shortlisted from a large number of candidates and become a Loughborough University London Student Ambassador. I would like to thank the University for giving me this role, because it offered me plenty of opportunities to participate in interesting events, such as the 2017 IAAF World Athletic Championships, Induction Week and Careers Fairs on the Loughborough campus. I always tried to be patient and positive when working on a variety of different ambassadorial jobs, since I always remembered that I was representing the university. Studying a Master’s degree is a demanding yet interesting process, but choosing Loughborough University London also gave me more chances to explore the city and Europe. 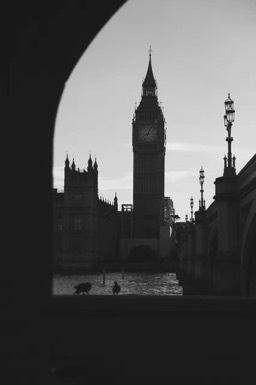 It is convenient to travel to everywhere in London, and easy to get to every airport in the London area. No matter what you like, there will always be something that you can enjoy in your spare time. One year is a very short time to do everything and there are so many interesting activities to do in London every day – you can be easily distracted! However, once you learn to manage your study timetable, it is possible to make the most of the city as well. Studying in London isn’t for everyone, but I met so many interesting people and had many valuable experiences during my time at Loughborough University London. I developed my abilities to conduct in-depth research and improved my communication skills through working on a variety of projects as part of my studies. I appreciate that the university encouraged me to engage with both learning and living in London, and I am glad that I took the chance to do so. As the University’s Vice Chancellor said when we arrived: do not be afraid to make mistakes, but do not make them a second time; do not be afraid of problems, because there must be solutions. I believe my time at this university will be of immense value in enabling me to accomplish many of my goals in the future. Studying at Loughborough University London has been a very positive experience. I feel I gained a great deal from both the University and the city! Thank you again Jin for your great blog post! 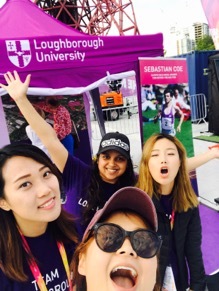 To find more information about the student experience at Loughborough University London, take a look at our website. Enjoyed hearing from Jin in this blog? Take a look at Jin’s thoughts on her Design Innovation Management course at Loughborough University London.